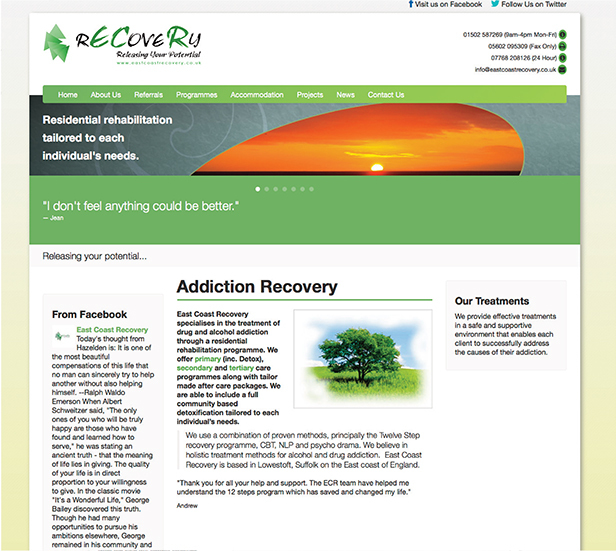 East Coast Recovery specialise in the treatment of drug and alcohol addiction through a residential rehabilitation programme which involves the 12 step programme of recovery. 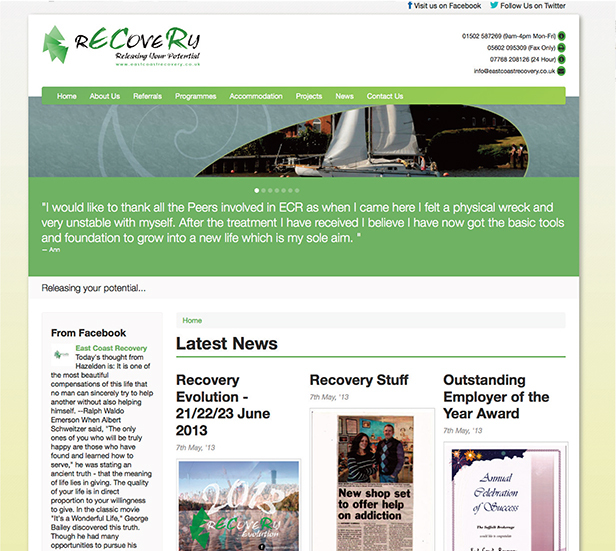 Their treatment centre is based in the seaside town of Lowestoft and as well as the 12 step programme of recovery they also offer recreational activities such as swimming, bowling and boating and as well as this they offer meditative techniques and nutritional guidance. 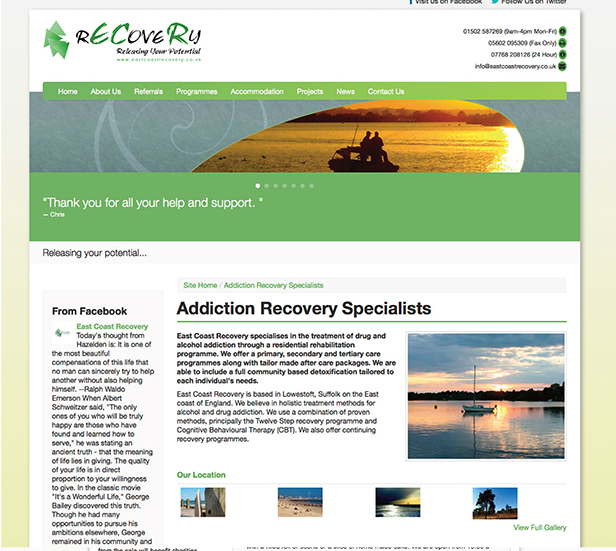 Within East Coast Recovery they run a number of projects including a car garage and picture framing shop. This helps the residents gain knowledge and experience of work life and help them regain their confidence to help them on the road to recovery.